Message: Unable to serialize the session state. In ‘StateServer’ and ‘SQLServer’ mode, ASP.NET will serialize the session state objects, and as a result non-serializable objects or MarshalByRef objects are not permitted. The same restriction applies if similar serialization is done by the custom session state store in ‘Custom’ mode. .NET handles the storage of session objects differently from InProc to SQLServer. When storing session objects in a SQL Server, .NET will serialize the objects. This is necessary because the session object needs to be transferred from server to server. So how do you find the classes that need the [Serializable] attribute? Message: Type ‘MyNamespace.MyClass‘ in Assembly ‘MyAssembly, Version=4.0.4.18681, Culture=neutral, PublicKeyToken=null’ is not marked as serializable. element in the web.config file must be InProc. This means that the Sitecore client and page editor is not tested using other session state methods than InProc. 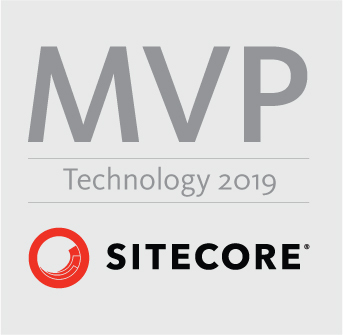 But since the content delivery servers do not touch the Sitecore UI, it is up to you to make the front end code compatible with StateServer or SQLServer methods. The best session state management for Sitecore CD servers would still be InProc, and let your load balancer use sticky sessions. This entry was posted in c#, General .NET, Sitecore and tagged InProc, Serializable, Serialization, SerializationException, Session state, Sitecore, SQLServer. Bookmark the permalink. We just turned on 8.1 xDB and ran into this problem. After changing to use the mongodb private sessionstate provider, our site was broken in places that used the session object. We have code that saves custom class objects to the session, and those weren’t marked serializable.